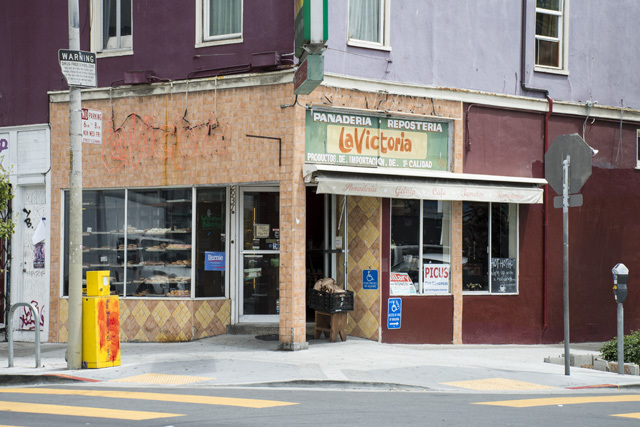 Anyone hoping to get their hands on one last pan dulce from 24th Street’s venerable La Victoria must stop by on Tuesday, the bakery’s final day in business after 67 years. The sheriff will, indeed, be stopping by the panaderia at 6 a.m. on Wednesday to ensure the business and its five other subtenants have vacated, per an eviction notice served in July. Gabriner, who also owns a wholesale bakery called Sour Flour, said he and business partner Laura Hernandez have found a commissary kitchen in Dogpatch and will continue to produce bread for La Victoria’s wholesale customers. The panaderia’s decline is as complex as it is sadly common: The building went up for sale in March for $3.4 million, amid litigation and infighting between the members of the Maldonado family, whose patriarch, Gabriel Maldonado, started the panaderia on 24th Street in 1951 and grew it into a neighborhood institution. Jaime Maldonado, who took over the business from his father and is a master tenant of the space, served all of his subtenants — including Gabriner and Hernandez, whom Maldonado had contracted to operate La Victoria in January — with the eviction notice. The eviction, Maldonado told us in July, was one requirement of settling a lawsuit between him and his stepmother, Susan Maldonado, who controls the family trust. “I am cooperating with Maldonado Trust in any way, shape or form to make sure what is agreed upon is executed in a fair and legal manner, regardless of my personal feelings,” Jaime Maldonado said in July. The family trust opted not to sell the building — which has three units of housing and two other commercial tenants — to the Mission Economic Development Agency, which submitted a bid for an undisclosed amount. Instead, the trust selected another buyer, whose identity has not been revealed. After Maldonado served Gabriner and Hernandez with the eviction notice in July, the business partners sought legal help from the city. They explored several avenues, including “inserting themselves” into the lawsuit between Jaime Maldonado and his stepmother, but that would have been too complicated, Gabriner said. The Maldonado family trust, Gabriner said, was unwilling to talk to him and Hernandez about alternatives to an eviction. “At the end of the day our rights didn’t amount to anything and that didn’t allow us to stay for the long term,” Gabriner said. Gabriner and Hernandez tried to buy the business from Jaime Maldonado, but could not meet his asking price. But Gabriner said he and Hernandez are in contact with the new property owner to keep La Victoria in the space. It’s unclear if that will be possible, and they would need to work with Maldonado, as he owns the rights to La Victoria’s name. 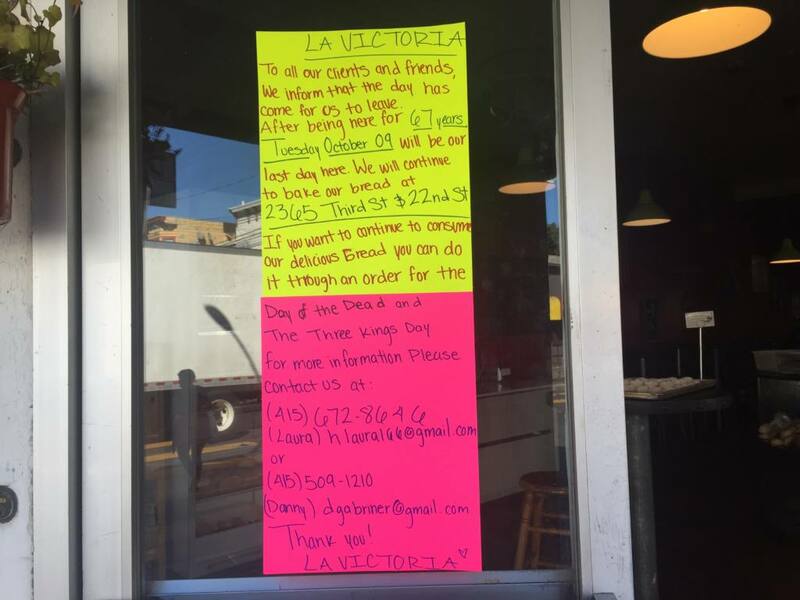 Please email info@cinderellabakery.com and tell them we want La Victoria to stay or come back. La Victoria is integral part of the Mission History and an anchor to the Calle 24 Latino Cultural District. Its part of the Latino’s history in this neighborhood and San Francisco. By uprooting this legacy business it will continue the further erosion of the Latino community and its business’s.